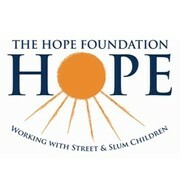 I'm a student and I'm a volunteer for the Hope Foundation. They are a charity who work to protect children, who live in the slums and streets of India, by raising funds to develop projects that secure and provide healthcare, counselling and education to these children. Once I have reached my goal I will be able to travel to India next year to fully visualise and experience just how much such donations help the children. All donations go directly to the charity and directly to the charity's projects, donations do not cover any flight costs or vacinations etc that I shall need to purchase. Thank you for donating!